I read this article and found it very interesting, thought it might be something for you. The article is called Ep 25: The Truth About Tom Rhodes and is located at https://copychief.com/ep-25-tom-rhodes/. 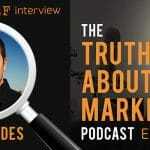 The Truth About Marketing podcast is produced by James Clouser. Graphics by Cassie Clouser. Dan Ludgator writes those badass timestamp bullets. Special thanks to all of you for making this show happen. Very funny and helpful stuff. I too am more of a pen and paper guy. I refine it when I transfer my notes to the computer. I also believe in incorporating humor into my marketing really helps the audience relax and be more receptive to the message. Great Interview Kevin! 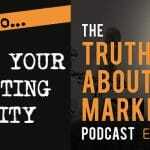 Liked this one a lot, great insights about being true to yourself when crafting your messaging.. I’ve scrapped many a video when they didn’t feel like me. Still a work in progress… And yeap, education embedded in marketing is a true secret weapon, thanks for the reminder.